Gaining a competitive edge means being proactive. When you’re trying to launch a new product, service or promotion quickly, it’s not the time to wonder about the competitive landscape, pricing or unique conditions impacting your stores. 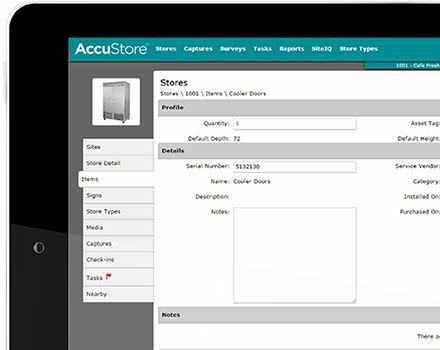 AccuStore enables you to implement faster by helping you collect and access store level data quickly. 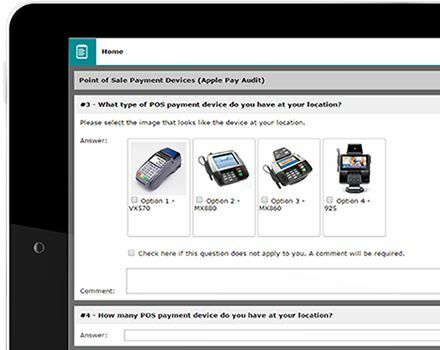 Use online surveys to capture local site-specific data, market conditions and competitive pricing information. 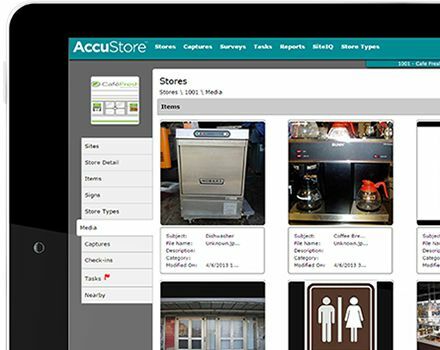 Use store profiles to access equipment details to plan capital improvements, store layout differences for reimaging projects, and fixture and sign type data before rolling out new campaigns. 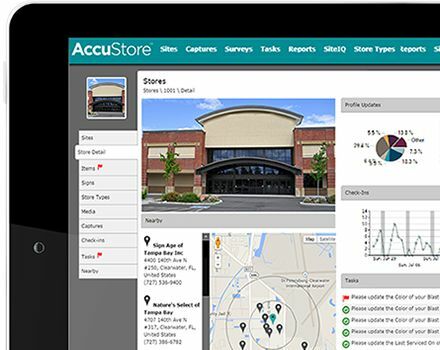 Use on-site surveys to collect accurate baseline data if site profiles do not exist for each store location. Use mobile Captures to help improve the customer experience and to ensure stores are getting the right attention. Gain competitive, local insights that impact store performance. Understand store layout differences in advance of a store reimaging project. Capture equipment details to accurately plan capital improvements. Determine fixture and display quantities and dimensions for signage.